Feeling lazy, wanted to have something simple. 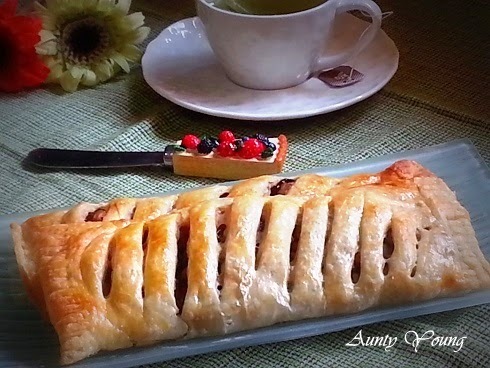 Rummaging in the fridge, found pastry, apples, raisins...... Why not make an Easy Apple Strudel? 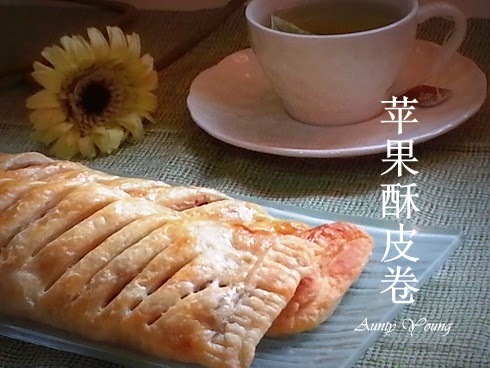 A piece of sweet, delicious Apple Strudel, a cup of fresh, aromatic green tea. Mmm, there goes the lazy feeling, replaced by freshness. No wonder many Westerners enjoy having tea in the afternoon. 1. Remove the apple skin and seed, then dice it. 2. Melt the butter in a pan, add in the apple dices and stir well. 3. Add in castor sugar and lemon juice and stir until well combined. 4. 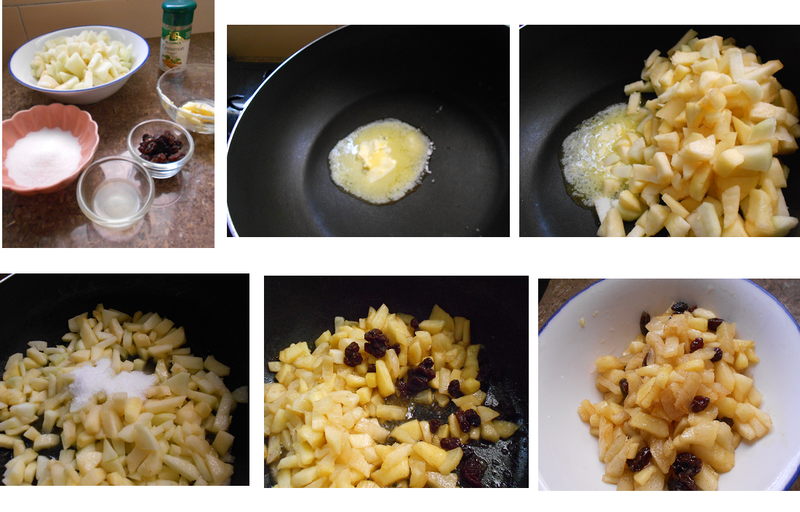 Cook the apple dice with low flame for about 4 -5 minutes until it softens and the gravy thickens. 5. Finally, add in cinnamon powder and raisin, stir well and you're done. Keep aside for later use. 1. 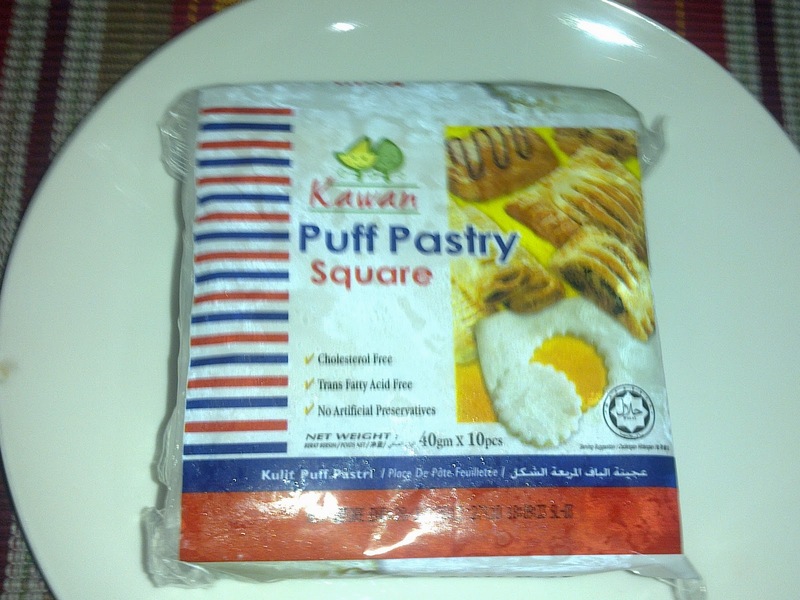 Roll a puff pastry sheet and form a 18cm x 22cm rectangle. Spoon 3 tbsp of apple filling onto the centre of the rectangle. Wrap the filling with the left and right thirds and press well at the closing edge to seal it. 2. 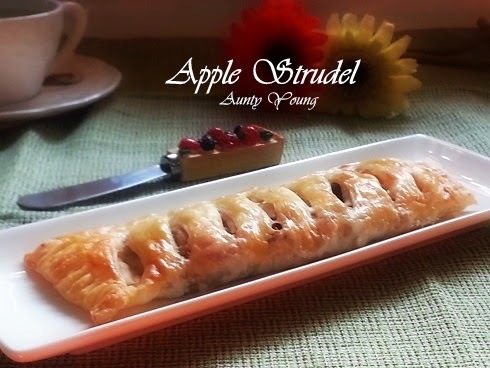 Use a fork to press lines on both ends of the apple strudle. Slice the surface of the strudle a few times with a sharp knife. Repeat the steps until all the pastries have finished. 3. Finally, brush the cut surface with egg wash and bake in a preheated oven at 200°C for 10 minutes, then reduce the heat to 190°C and bake another 15 minutes or until golden yellow. Serve. 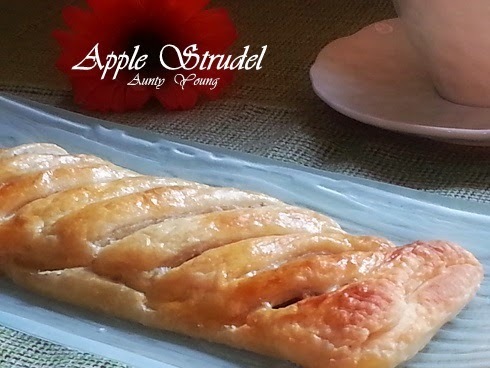 your mind sure work fast when you see the leftover ingredients... i'd love to have a slice.. can't remember the last time i had apple strudel! 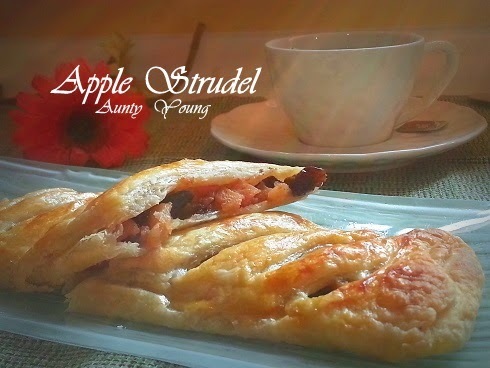 Aunty Young, I love Apple Strudel! My brother once brought back from Australia and it was so good. Must try and make soon!